The best mic mod platform in history just died. RIP. But the days of modding new SP1s are over. Marshall Electronics has apparently swapped the venerable “V57” circuit board set for a single surface-mount PCB. While it is technically possible to modify an SMT board, it is not worth the effort and risk of drilling out all the components you’d want to swap. For example, the mod kit referenced above changes 21 different components. For years, I have been recommending that would-be DIYers buy the ~$50 SP1 for modding. But now there is a distinct risk of getting an SMT mic that you’d have to return. I can’t recommend buying SP1s new any longer. Instead, pick up an older SP1 on Ebay. Consider the following mics equally desirable, for they all use the V57 PCB set: MXL 2006, MXL V63M, MXL V250. But ask the seller to send a photo of the circuit board first, just to be sure. See the original V57 PCBs at right. This is what you want to see in your SP1 if your intention is to modify it. 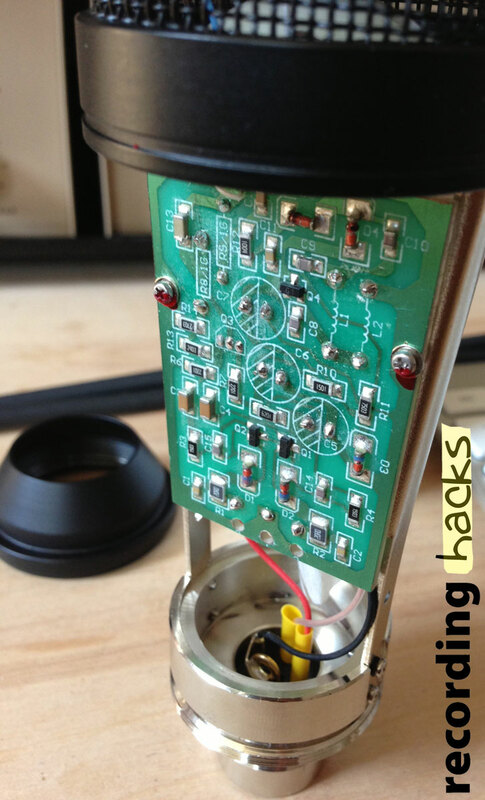 Have you thought about just getting a custom PCB made for the mic? You could even have it include a small prototyping area if you wanted to. For small runs, the cheapest custom PCB manufacturers I’ve found is batchPCB (they are owned by SparkFun). But there’s loads of custom PCB manufacturers around on the internet. 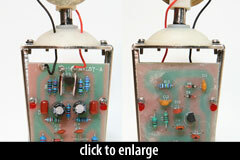 Why not simply DIY a circuit-board for through-hole components and keep on diy-ing? Well. Upon your recommendation, I just purchased 2 MXL 990’s, with the intent of modding them. Turns out, they have gone SMT too!! I tried to take some photos, didn’t turn out well, I’ll forward them if you want. They will be going back….. Surface mount boards aren’t all that difficult to work with, depending on what mods you have in mind. Surface mount components can be removed from the board quite easily. Putting new components in their place can be a bit tricky, but not impossible, and the board doesn’t have to drilled. You can put new surface mount components onto the pads (but they are very fiddly to work with by hand), or you can solder conventional through-hole components onto the pads without drilling holes by bending the leads to sit on the pads. I wouldn’t do this with large components because the weight could put too much strain on the pads and pull them off the board, but it’s ok with small ones. As others have said, this is in no way a show stopper. 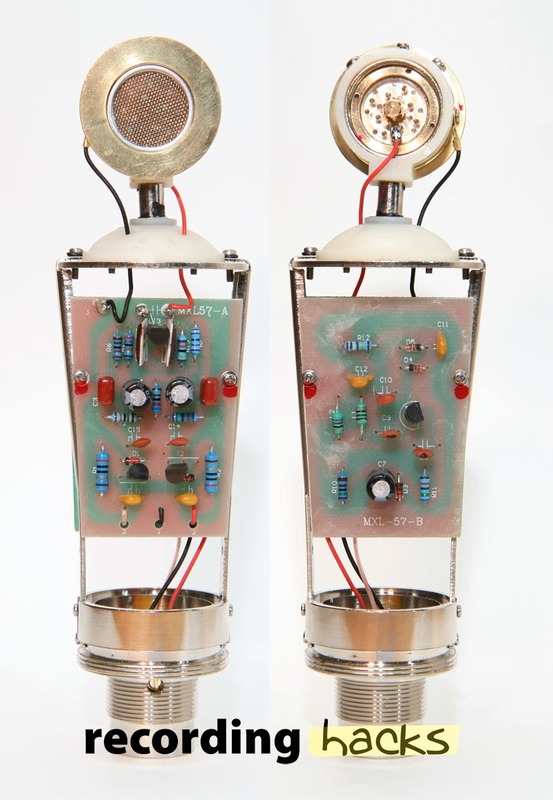 The circuits used in these mics are simple enough that a person could create their own PCB. Yes, you could do a run of boards too, but in the meantime, just measure out where the mounting holes need to be and create the thing in Eagle. Compared to the modding skills you’ve already acquired, PCB etching is small potatoes. In some ways this could eventually be liberating but with a time of stepping backwards before a good platform for mods gets even better. Here’s what I mean: if indeed new PCBs are made for the mic modding community regarding the SP1, 990, etc, then I suspect folks will start exploring even more options for these microphones. A switch for cardioid operation AND omni? Adding a pad or high pass circuit to a mic that does not have one? Anyway, it could be a good thing to start with just an affordable microphone body and consider all the electronics inside stuff for the garbage can. Give it a few years. You’ll be able to 3D-print your own PCBs on a whim. Has anyone drawn out the PCB for the 990 in Eagle yet? I got Eagle with doing it in mind, but I’m not that familiar with it yet..
@chris, we do have a replacement circuit kit for the 990. Eagle is a bit of a nightmare. Good luck! Besides the switch to SMT, is it still the same circuit? Is the single surface-mount PCB version still an implementation of the Schoeps-type circuit? @Andrei, @Drusca – as far as I know, the surface-mount MCA SP1 and MXL 990 are still using a Schoeps-like circuit. If you are buying an MXL 990, etc, how do you know if is through hole or SMT …by date? Photo of PCB? 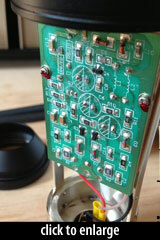 @donald – if you can see the circuit board, it will be obvious whether it is through-hole or SMT. Just compare to the photos in this article.